The International Paris Air Show, SIAE started this morning and we already have some good news: we had the honour of welcoming the French president Emmanuel Macron and the famous mission Proxima astronaut, Thomas Pesquet, both amateurs of the technological innovations developed by French start-ups. 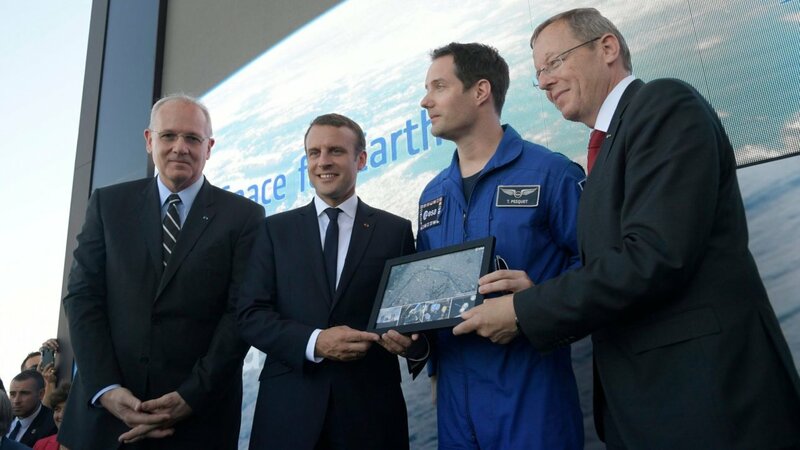 The French astronaut Thomas Pesquet and the President Emmanuel Macron took part in the game and equipped themselves with virtual reality helmets to take a tour of the surface of Mars. Our virtual reality application, VR2Mars, convinced: “The President was enthusiastic about the demonstration, he congratulated us on our work and the quality of our application. Thomas Pesquet noticed the presence of our ‘CAVE 3D’ on the pavilion and promised to come back”, reports François Civet, CEO of VR2Planets. 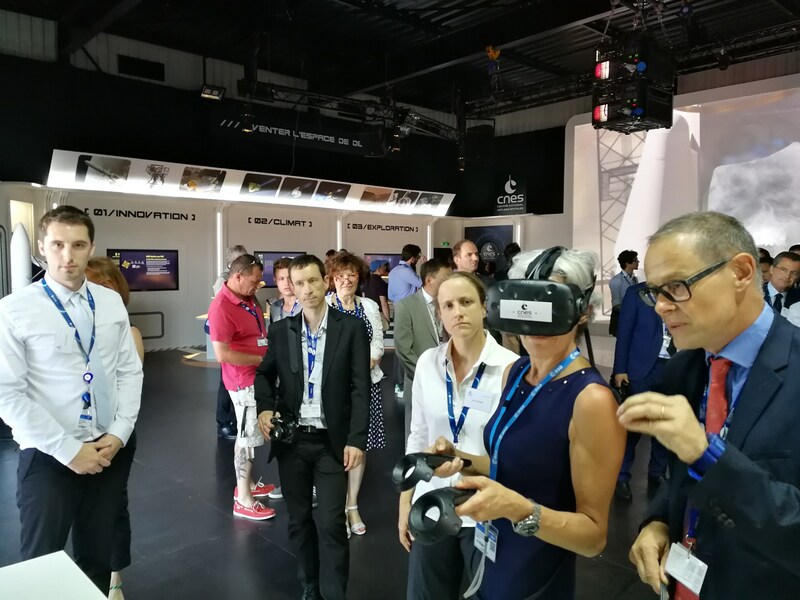 The Paris Air Show – Le Bourget has an important audience and we are delighted to present VR2Mars. We created this application to provide new tools for scientists and geoscience education partners. It allows, thanks to virtual reality, to travel on the surface of Mars in order to better understand the activity of robots sent to the red planet, such as that of the Curiosity Rover. We were privileged to receive Claudie Haigneré, renowned scientist, astronaut and politician, presently ambassador and advisor of the president of the European Space Agency (ESA). We discussed our work and she was extremely positive about the potential of the application. She quickly understood how this technology could be used in the future to train astronauts. This first morning was an intense experience and we look forward to seeing you soon at our booth. It is hosted at the Centre national d’Etude Spatiale (CNES) pavilion , in the shadow of the Ariane 5 rocket. Really easy to find us!